It was my MIL’s birthday so I wanted to come up with a special menu of her favorites. I know she loves Apples, Butternut Squash and Peanut Butter, so I thought those were good ones to start with. I made these potstickers, Apple Cider Caramel Dipped Apples, Peanut Butter Cookie Dough Bites and White Bean Dip and crudite & sliced toasted baguette. (recipes to come!!) YUM!!! 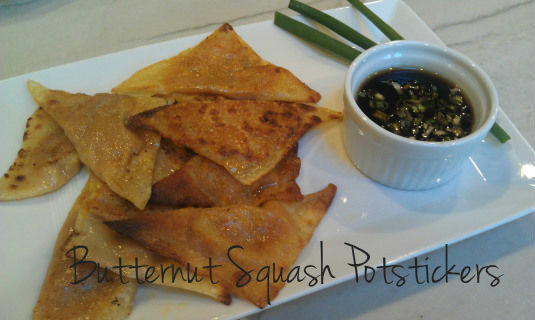 On Lisa Dawn’s site I found an awesome recipe for Butternut Squash Potstickers and knew we would all love them. It was no joke, these are amazing!!!! 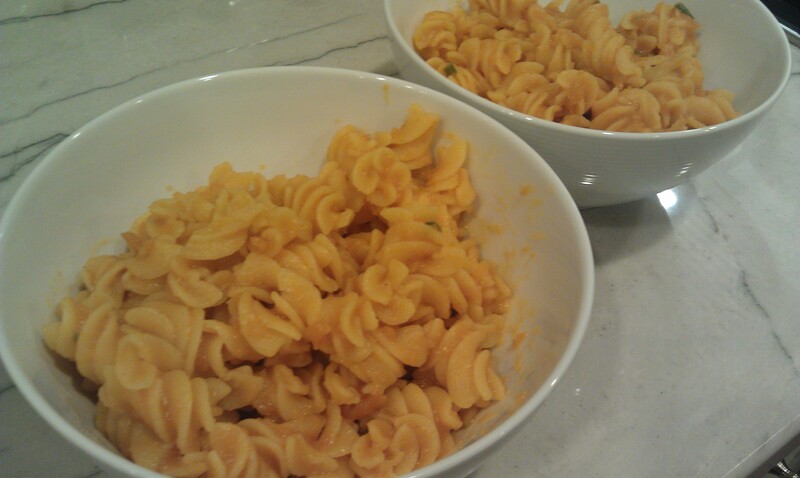 I used her recipe, the original (from Martha Stewart), added more fresh ginger and we all loved them. I doubled the recipe and made the whole batch while keeping half in the warming drawer to serve a little later. (not too much later as these went fast!!) also used Lisa’s perfect dipping sauce. Perfection! I had leftover filling and it was great as a pasta sauce and also for the babies, they LOVED it! 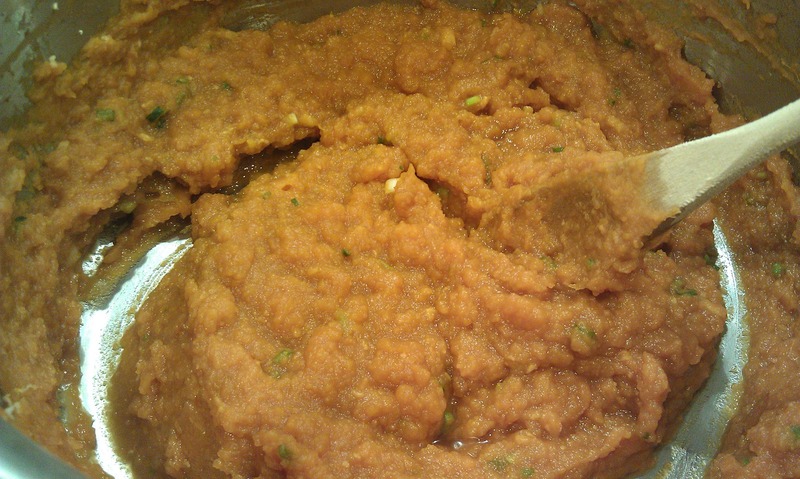 Place squash, tamari and sugar in a saucepan. Cover with water and bring to a boil. Cook until soft and drain. Mash with a potato masher or immersion blender until smooth. Add the scallions and ginger and mix to combine. Place 1 tablespoon filling in the center of each wrapper; brush edges with water. Bring up corners to make a triangle; press to seal. Place on a baking sheet; freeze until firm, 10 to 15 minutes. Heat 2 tablespoons oil in a large nonstick skillet over medium heat until hot but not smoking. Add 10 potstickers, and cook, shaking pan frequently, until bottoms are golden brown. Turn pot stickers over; very carefully (holding the lid in front of you) pour in 1/2 cup water, and cover. Steam until most liquid is evaporated, 2 to 3 minutes. 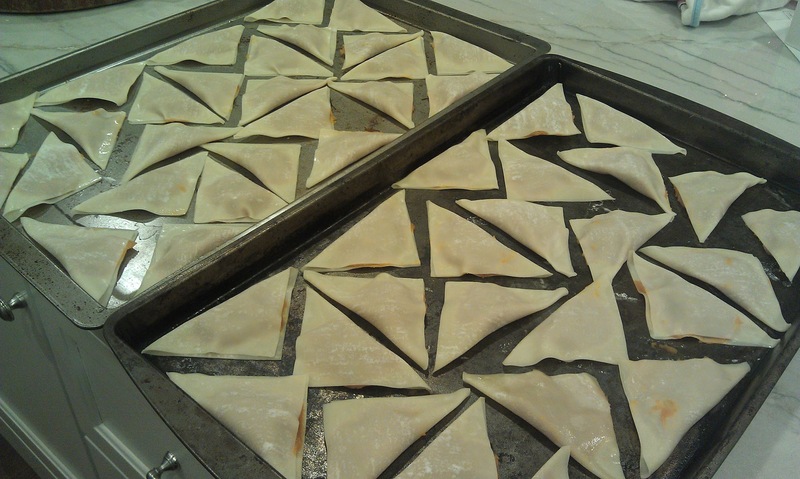 Transfer to a serving dish and repeat with remaining oil and pot stickers. Serve with dipping sauce.